OpenStack is a cloud operating system that controls large pools of compute, storage, and networking resources throughout a vitual data center (IaaS Solutions), all managed through a dashboard that gives administrators control of their users and the provisioning of resources through a web interface. OpenStack enables enterprises and service providers to offer on-demand computing resources, by provisioning and managing large networks of virtual machines. Compute resources are accessible via APIs for developers, who can build cloud applications via web interfaces. The compute architecture is designed to scale horizontally on standard hardware, providing considerable cost savings. 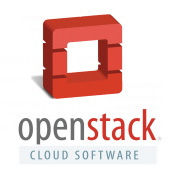 OpenStack is architected to provide great flexibility as you design your cloud, with no proprietary hardware or software requirements and the ability to integrate with legacy systems and third party technologies. It is designed to manage and automate pools of compute resources and can work with all existing virtualization technologies. In addition to traditional storage technology, many organizations now have a variety of storage needs with varying performance and price requirements. OpenStack has support for both Object Storage and Block Storage, with many deployment options for each depending on the use case. The first is not a traditional file system, but rather a distributed storage system for static data such as virtual machine images, photo storage, backups and archives. Having no central ‘brain’ it provides greater scalability, redundancy and durability. Objects and files are written to multiple disk drives spread throughout several servers, with OpenStack responsible for ensuring data replication and integrity across the cluster. Storage capacity can be scaled horizontally simply by adding new servers. Should a server or hard drive fail, OpenStack replicates its content from other active nodes to new locations in the cluster. Thanks to this technology, inexpensive commodity hard drives and servers can be used in lieu of far more expensive equipment. The second provides persistent block level storage devices for use with compute instances. Block storage volumes are fully integrated into the OpenStack Compute dashboard. OpenStack provides flexible networking models to suit the needs of different applications or user groups. Standard models include flat networks or VLANs for separation of servers and traffic. OpenStack manages dedicated static IPs or DHCP. Floating IPs (Elastic IP) allow traffic to be dynamically rerouted to any of your compute resources, which allows you to easily redirect traffic during maintenance or in the case of failure. 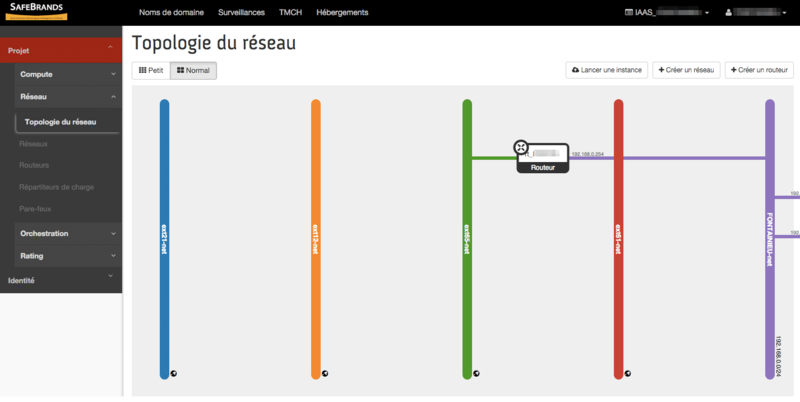 Users can create their own networks, control traffic and connect servers and devices to one or more networks. 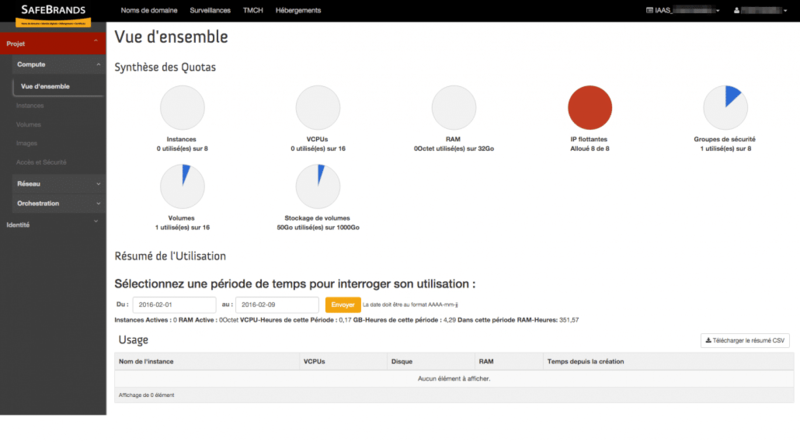 The OpenStack dashboard provides administrators and users with a graphical interface. The dashboard is just one way to interact with OpenStack resources Developers can automate access or build tools to manage their resources using the native OpenStack API or the EC2 compatibility API. The dashboard is an extensible web app that allows cloud administrators and users to control their compute, storage and networking resources. As a cloud administrator, the dashboard provides an overall view of the size and state of your infrastructure. You can create users and projects, assign users to projects and set limits on the resources for those projects. The dashboard provides users a self-service portal to provision their own resources within the limits set by administrators. Our commercial team is at your disposal to study all your needs according your Cloud projects. Test our Public Cloud Offer for free. Start virtual instances according to your needs and pay only what you use.